not be likely to mislead anyone into thinking that it emanated from us. The Gold Coast Business Hub Website may contain links or other references to Third Party Websites. If it does, you agree that we have no Liability or responsibility for the condition, safety or content of those websites, and you acknowledge that a link or a reference to a Third Party Website does not imply any endorsement, approval or sponsorship of the website or of any product or service available through it. We make no representations or warranties whatsoever, either express or implied, regarding any Third Party Website, including as may be said to arise from the existence of a link or reference on the Gold Coast Business Hub Website. commercialise any information, products or services accessible from any part of the website. in a manner which, or in association with anything which, disparages us, the Gold Coast Business Hub, any Content of the Gold Coast Business Hub Website, any our products or services, or the Gold Coast Business Hub Website. 1.5.1 You agree that you will ensure that the processes employed for accessing the Gold Coast Business Hub Website by means of your login details prevent the transmission of viruses, malicious computer code or other forms of interference which may damage either your or our computer systems, or which may cause interference with the Content or operational functionality of the Gold Coast Business Hub Website. 1.5.2 You agree that we will have no Liability in respect of anything done by a virus, malicious computer code or anything which might interfere with or damage computer systems where exposure to the virus, computer code or thing has arisen from or in connection with access to the Gold Coast Business Hub Website through your login details. We may change the Gold Coast Business Hub Website at any time and in any way without prior notice. You agree to our installing cookies on any computer or device by which access to the Gold Coast Business Hub Website is obtained through your login details. We may terminate your access to the Gold Coast Business Hub Website at any time without notice, and without giving a reason. 1.10.1 We do not warrant that information on the website is or at any point in time will be accurate or complete, and you agree that you will not rely upon information on the website in making any decision, but instead will make your own separate enquiries and investigations, and will rely solely upon them. as to the performance of the Gold Coast Business Hub Website. 2.2.1 In consideration of your payment and your promise, if any, to make further payments, we grant you a licence to occupy the meeting or board room, suite, office or day desk allocated to you on the days and at the times agreed. Your agreement with us does not give you a tenancy right, or a right to exclusive possession of any part of the Gold Coast Business Hub. 2.2.2 We may terminate your licence at any time without prior notice if the agreed fee has not been paid or if, in our reasonable opinion, you have failed to meet your obligations under the agreement. 2.2.2 We may charge a fee for photocopying in excess of 50 pages in a day, calculated at the rates from time to time displayed on or near the photocopier or, if the rate is not displayed, at a reasonable rate nominated by us. 2.2.3 You agree to maintain strict confidentiality in respect of the codes for access to the Wi-Fi Network and the photocopying equipment, and to not permit any other person to make use of the codes to access the network or the equipment, except with our permission. 2.2.4 You must ensure that you and anyone who enters the Gold Coast Business Hub in connection with you uses the office equipment only for the purposes for which it was designed to be used, and strictly in accordance with any directions or guidelines given or provided by us. 2.2.5 The provision of telephone services is subject to availability, and in our discretion. 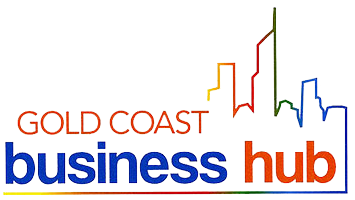 2.3.1 You may use the Gold Coast Business Hub only for personal or commercial uses which, in our opinion, are in the nature of or similar to office work or personal study or otherwise consistent with the nature of the Gold Coast Business Hub. does not, by negligent act or omission or otherwise, cause damage to the Gold Coast Business Hub premises or anything in those premises, including furniture, office equipment and other things provided by us. 2.3.3 You agree that you will place all paper and other waste arising from your use of the Gold Coast Business Hub in a refuse receptacle provided by us. 2.3.4 You agree that you will leave the meeting or board room, suite, office or day desk used by you in a neat and tidy condition commensurate with its condition at the commencement of your use of it. 2.4.1 You must ensure that both you and anyone who comes into the Gold Coast Business Hub in connection with you engage co-operatively in any fire drills and tests of Kay House fire equipment and fire safety procedures, including by strictly observing the evacuation procedures from time to time stipulated by us. 2.4.2 If we become liable for the payment of a charge to the Queensland Fire Service or another body with responsibility for fire safety arising in connection with the attendance of a fire service officer or appliance at Kay House in consequence of an alarm arising from anything done or omitted to be done by you or them, you agree that you will pay the amount of the charge to us on demand. 2.5.1 You may make use of the Kitchen Area for food preparation, dishwashing and other common kitchen related purposes, but not for any other purpose. Your use of those areas will be in common with others entitled to make use of them. 2.5.2 We may from time to time make rules governing the use of the Kitchen Area and if we do so, you agree that you will comply with them. 2.5.3 You must ensure that neither you nor anyone who comes into the Gold Coast Business Hub in connection with you leaves the Kitchen Area without first clearing or cleaning away any untidiness or lack of cleanliness, including by wiping over any bench space or sink used by you or them, and placing any waste materials in a Kitchen Area refuse receptacle. 2.5.4 You agree that neither you nor anyone who comes into the Gold Coast Business Hub in connection with you will dispose of tea leaves are other unsuitable material through the Kitchen Area sink. You must ensure that neither you nor anyone who comes into the Gold Coast Business Hub in connection with you connects any electrical appliance or device to any electrical outlet in the Gold Coast Business Hub or the Kitchen Area unless the appliance or device carries a current tag in accordance with any relevant provision of the Electrical Safety Regulation 2002 or another applicable electrical safety law. 2.7.1 You and persons coming into the Gold Coast Business Hub in connection with you may use the bathroom and toilet facilities on the second floor of Kay House in common with other persons entitled to do so. 2.7.2 You agree that you will ensure that both you and anyone who comes into the Gold Coast Business Hub in connection with you will use the water closets and drains only for their design purpose and in particular, that you and they will not place in them any rubbish, or other deleterious substances. 2.8.1 These provisions apply if we provide you with a locker for your use. The provision of a locker is subject to availability, and in our discretion. 2.8.2 You agree that neither you nor anyone who comes onto the Gold Coast Business Hub in connection with you will place any perishable, dangerous, volatile or explosive substance or thing in a locker. 2.8.3 You must clear and clean your locker at the end of your licence to use the Gold Coast Business Hub. You agree that anything left in a locker is to be taken to have been abandoned, and you authorise us to dispose of it as we see fit, and to indemnify us against any claim in connection with the disposal. 2.8.4 If we provide you with a key to a locker you must return it to us on demand. If you fail to return a locker key to us at the end of your licence to occupy a meeting or board room, suite, office or day desk, or when demanded, you agree to pay the sum of $100 to us in respect of the administrative and other costs of obtaining a replacement and of any additional security measures we consider appropriate. 2.9.1 These provisions apply if we authorise you or someone who comes into the Gold Coast Business Hub in connection with you to use the Shower Facility. 2.9.2 Your entitlement and the entitlement of the Authorised Associate to use the Shower Facility is in common with our entitlement and the entitlements anyone else authorised by us to use the facility. 2.9.3 Use of the Shower Facility is governed by the Shower Facility Rules, and you agree that you and any Authorised Associate will comply strictly with those Rules. References in the Rules to a “Permitted User” will be taken to include you and any Authorised Associate, and references to “Maylake” will be taken to be to us. 2.9.4 We may terminate or suspend your entitlement or the entitlement of an Authorised Associate at any time without giving reasons. you must not permit or facilitate the use of the Shower Facility by anyone other than you or and the Authorised Associate. 2.9.6 If you fail to return a Shower Facility key to us at the end of your licence to occupy a meeting or board room, suite, office or day desk, or when demanded, you agree to pay the sum of $350 to us in respect of the administrative another costs of obtaining a replacement and of any additional security measures we consider appropriate. 2.9.7 You must observe, and you must ensure that any Authorised Associate observes any instructions or directions which we give in relation to the Shower Facility. 2.10.1 At all times whilst in the Shower Facility a Permitted User must ensure that the entry door is closed and that the deadlock is engaged. (d) ensure that all taps are fully closed before leaving the facility, and make only reasonable use of the facility, including by taking all reasonable steps to minimise wastage of water. (c) engage in any lewd or unseemly conduct in the Shower Facility. 2.10.4 A Permitted User who leaves the facility without removing all of the User’s jewellery, apparel, toiletries and other chattels of any kind will be taken to have abandoned any such item and to have authorised Maylake and its servants and agents to remove and dispose of any such item, including by sale, waste disposal or otherwise as it, he, she or they think fit. 3.1.1 We may from time to time stipulate opening hours for the Gold Coast Business Hub. Until we stipulate otherwise the opening hours are from 8 AM to 5:30 PM on business days. 3.1.2 You will not be permitted to be in the Gold Coast Business Hub except during opening hours. Any agreement between you and us is governed by the laws of Queensland, and you and we agree to submit to the exclusive jurisdiction of the courts of that State. 3.6.1 An amount nominated by us in any pricing information provided by us for a taxable supply represents the value of the supply for GST purposes, unless it is expressed to be otherwise, and if the amount is or becomes payable by you, you must in addition pay the GST payable in respect of the supply. 3.6.2 If you are required to pay or reimburse an amount paid or payable by us in respect of a creditable acquisition, the amounts for payment will be the value of the acquisition plus GST. 3.6.3 The expressions used in the preceding two paragraphs have the meanings given to them in the A New Tax System (Goods and Services Tax) Act. arises directly or indirectly as a consequence of the unavailability of or the failure or malfunction of the Wi-Fi Network, the Local Area Network, the telephone and facsimile services or any of the office equipment or other facilities provided by us in connection with the Gold Coast Business Hub. 3.7.2 You agree that we will have no Liability in any circumstances (including negligence) for any indirect or consequential loss of any kind (including loss of profit) however it arises notwithstanding that notice of the risk of the loss may have been given to us. if the breach or non-compliance relates to services, the supplying of the services again or payment of the cost of having the services supplied again. 3.8.1 Prices appear in Australian dollars. Where applicable, prices include GST. 3.8.2 All prices are correct at the time of online publication. Prices are subject to change without notice. We reserve the right to correct prices quoted in the invoice, if found to be incorrect. 3.8.3 All payments are made by a secure server, which will encrypt each transaction as a security precaution, and all payments must be made in Australian Dollars only. You may pay for an accepted order using your Visa, MasterCard or debit cards displaying a Visa or MasterCard logo. 3.8.4 If We are unable to successfully process payment for your order, then we may reject or cancel Your order. If you choose to pay by credit card, you authorise us to debit the amount that is payable for an accepted order from your nominated credit card. You must not pay, or attempt to pay, for our services through any fraudulent or unlawful means. the Gold Coast Business Hub’s fixed line telephone and facsimile services. 4.2 We may vary the Fair Use Policy at any time, including during a period in which you have a licence for the use of the Gold Coast Business Hub, and a change to the Policy will take effect when notice of it has been given to you. For that purpose any notice may be given orally or by any other means reasonably calculated to bring it to your attention. is such as or to an extent which we reasonably consider to be unreasonable. “Kitchen Area” means the kitchen area and the facilities within it in the common area on the second floor of Kay House, and the coffee making and related facilities within the Gold Coast Business Hub. 5.2 The terms “we”, “our” and “us” refer to Maylake Pty Ltd ACN 079 515 923, and where the context permits, include its directors and other officers, its employees and its successors and assigns. 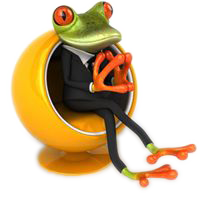 5.3 The terms “you” and “your” refer to the person in whose name a relevant booking or other dealing with us is made or conducted and, where the context permits, includes a person who accesses the Gold Coast Business Hub Website by means of your login details, and a person who comes into the Gold Coast Business Hub premises in connection with you. the identity of the party which proposed any of the Terms is to be disregarded.